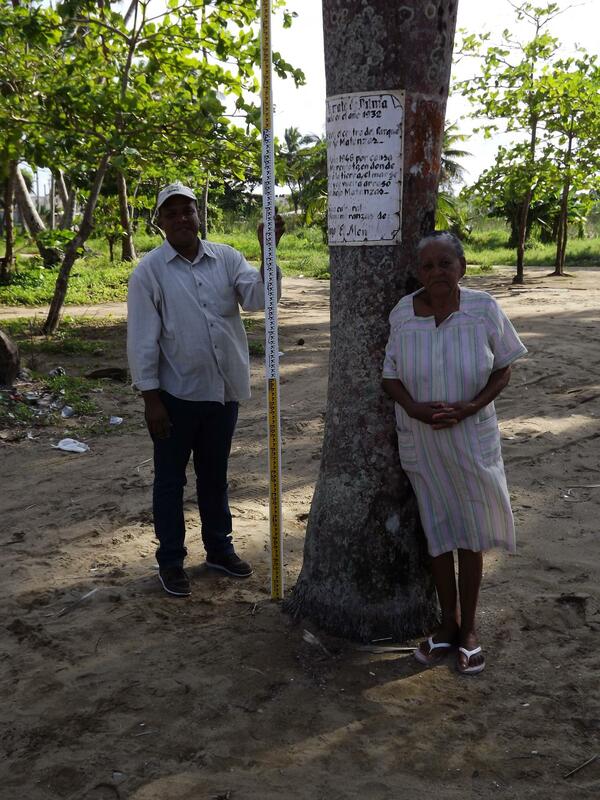 Almost 70 years later, the man remembers the August day in Playa Rincon, when he clung to the top of an almond tree to survive a tsunami where the waters rushed about 700 meters inland after a magnitude 8.1 earthquake. His recollections and other astonishing eyewitness accounts of the tsunami that struck the Dominican Republic in 1946 are being used to reconstruct the tsunami's heights and inundation distances, said Georgia Tech researcher Hermann Fritz at the 2018 SSA Annual Meeting. The 1946 quake suggests that earthquakes along the region's Hispaniola and Puerto Rico trench subduction zones "pose a significant tsunami hazard not just for the islands themselves, but these events are also relevant for the seaboard of the eastern United States," Fritz said. The 2010 magnitude 7.0 earthquake in Haiti prompted Fritz and others to look more closely at the Dominican Republic's tsunami potential. Although the Haitian quake produced only a one-two meter tsunami at the Haiti-Dominican Republic border, "there was a complete lack of tsunami preparedness and awareness," Fritz said. The eyewitness survey was inspired by a Dominican meteorologist at the Oficina Nacional de Meteorologia, who told Fritz that his grandfather recalled "palm trees bouncing from one side to the other side" during the 1946 earthquake and tsunami. The eyewitness surveys covered about 300 kilometers of observations along the Dominican Republic's north coast, allowing the researchers to make 29 runup and tsunami height measurements at 21 locations. Locations between Cabrera and El Limon took the brunt of the waves, with tsunami heights over five meters. The tsunami flooded inland at distances of 600 meters or more at places like Las Terrenas and Playa Rincon. "We went to the beach with her where there was a palm tree that had survived the tsunami, and she was able to show us using the tree how high the tsunami was at that location," Fritz explained. The team's reconstruction of a two-meter tsunami height and other information from their survey has even changed official accounts of the earthquake at Matanzas, Fritz said. The tsunami was thought to have washed away most of the town and killed hundreds of residents. But with the new information uncovered by the survey team, the town has changed a local plaque commemorating the event to note "sin victimas ["no deaths"] from the tsunami. "I was surprised by interviewing these people, how lucid some of these accounts were," Fritz said. "It almost brought the tsunami event back to life."